Did you know that Caithness has the highest concentration of brochs in Scotland? Here the authors of Caithness Archaeology: Aspects of Prehistory introduce the broch’s structure and significance to the Caithness region, whilst considering why brochs – found only in Scotland – are amongst the most studied monuments in British archaeology. Brochs, found only in Scotland and particularly in Atlantic Scotland, have captured the imagination of scholars for centuries and are amongst the most studied monuments in British archaeology. The conventional view of a broch is that of a tall, imposing circular drystone tower, with cells or galleries contained within the thickness of the wall and which feature a range of complex architectural devices including: stairs; scarcements (to support wooden floors); lintel stones; stress-relieving gaps; and low single entrances with door rebates, bar-holes and guard cells. Excavations have revealed traces of post-holes in the floors, which could have supported an internal wooden structure. 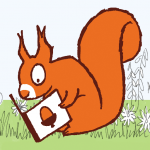 Right, here is the boring but necessary bit. Although many scholars have called numerous roundhouses or grassy cairns/mounds ‘brochs’ – no better shown than by some of the individuals who have worked in Caithness – recent studies have highlighted the complexity and variation of different building techniques and styles in the structural class. Once called brochs and duns, it is now commonplace to study these distinctive structures within the confines of Atlantic roundhouse terminology. In brief: for some archaeologists, the term broch can be usefully applied only to those structures exhibiting key architectural features, most importantly a high hollow wall containing superimposed galleries. As Armit reminds us, such a definition will obviously exclude any building that does not survive to a height that is sufficient to display such features. It has become apparent to some scholars that the classic broch tower lies at one end of a ‘spectrum of complexity’, the other being represented by simple Atlantic roundhouses, as found at sites such as Bu, Pierowall, Quanterness, Tofts Ness and St Boniface, Orkney. These low-walled structures are characterised by having no intramural features and stairs, and appear to have been built before brochs, around the first half of the first millennium bc. Between broch towers and simple Atlantic roundhouses can be found a wide range of roundhouse forms with varying degrees of architectural complexity. These complex Atlantic roundhouses include many of the structures that were often called brochs in past literature. In other words, the term Atlantic roundhouse describes all of the massive-walled drystone structures found in Atlantic Scotland, and contains a subset of more elaborate buildings known as complex roundhouses. Complex Atlantic roundhouses contain features such as intramural cells and stairs, but may not have been towers. Due to the vagaries of preservation it is impossible to know what proportion of complex roundhouses were originally broch towers. The progression from simple to complex may have taken place around 500 bc–200 bc. Often, enclosures were built around the roundhouses, as well as some outbuildings. These patterns culminated in the construction of the broch tower – a specialised form of complex Atlantic roundhouse – perhaps around 200 bc or thereabouts. Good examples can be seen at Gurness and Howe, Orkney. Around this time, nucleated villages – which surrounded the complex Atlantic roundhouses and broch towers – appeared in Orkney and Caithness. Although many of these sites continued to be used into later periods, the construction of complex Atlantic roundhouses appears to cease around ad 200. These developments were not paralleled everywhere. In the Western Isles, there are no nucleated settlements and isolated complex Atlantic roundhouses are the norm. This regional variation is shown by another distinctive structural type, the wheelhouse, which developed in the Western Isles but appears to be absent in Orkney and Caithness. and within these areas there are many roundhouse clusters hugging the coastline and meandering up river valleys. Caithness is the home of the broch. And they have, understandably, dominated many discussions. By now we should be aware of another key fact: that the most important archaeological works of the county, be they excavations, surveys or overviews, were undertaken by individuals working during the nineteenth and early twentieth centuries. You will, therefore, be unsurprised to hear that our understandings of Caithness brochs are associated with a handful of individuals whose names should be familiar by now – Rhind, Anderson, Laing, Tress Barry and Nicolson. 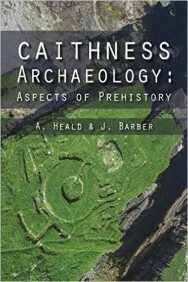 Caithness Archaeology: Aspects of Prehistory by A Heald and J Barber is out now published by Whittles priced £20.